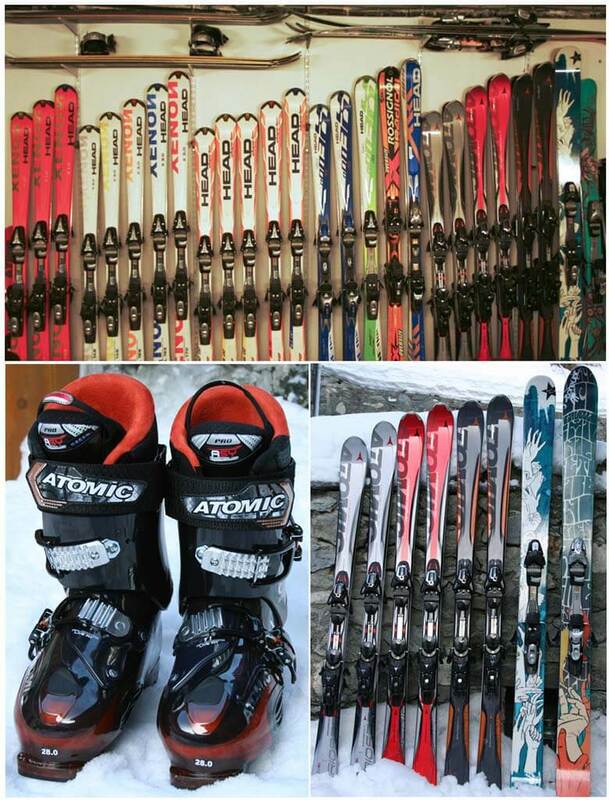 At The Goat Shed we have a comprehensive selection of ski rental equipment. Having spent several seasons working as head Ski Tech for a large Ski rental Shop in Alpe D’Heuz, I wanted to tap into the experience I’d gained to offer in-house hire with the benefits of being able to ski-fit our guests at any time of day or night, with no queueing in a busy shop and without even needing to leave the chalet! All of our stock is current, perfectly maintained and competitively priced. And you can change your equipment as often you like – whether you need a different size boot or just want to have a go on another type of Ski or Snowboard, or even swap between the two. The freedom is there without having to trek to the shops or be bound to opening times. Of course you are not obliged to use our equipment! and we’re happy to run you up to the hire shop of your choice..
We also work with Rental Republic who deliver equipment directly to the chalet for any requirements our range doesn’t meet.